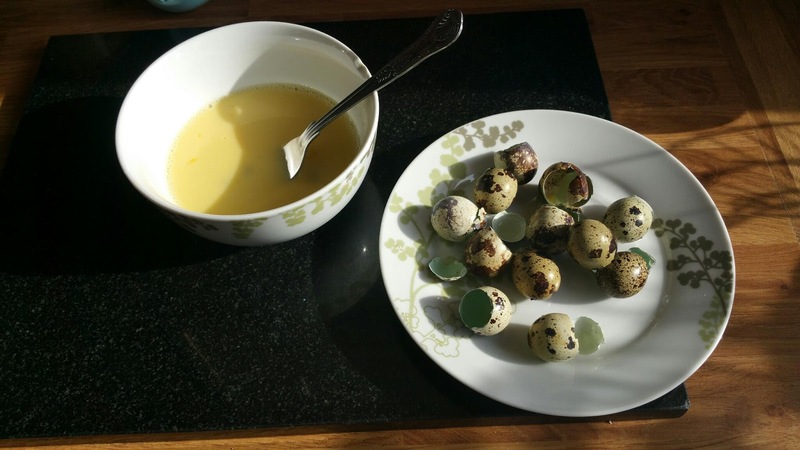 Today's breakfast is the first time we've used our quail Eggs! 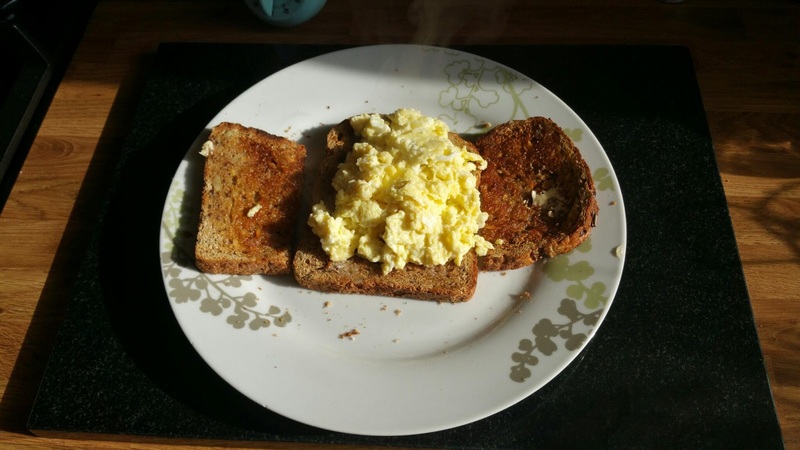 I used a dozen eggs for a very hearty breakfast. Now since my girls have only just started laying their eggs are slightly smaler than what they will be when the birds get a little older. 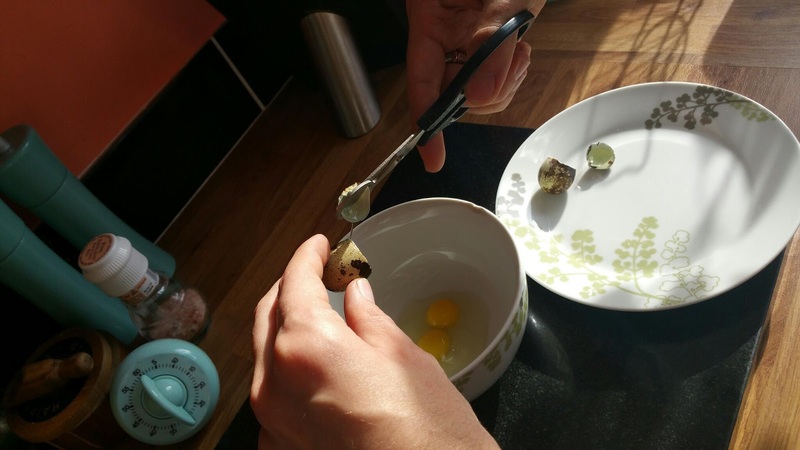 At the moment about 5 quail eggs equal one chicken egg, but once the birds have grown up a bit the average is 3 quail eggs to a chicken egg. So once I'd finished having fun with the quail egg scissors I added some Pink Himalayan Salt, milk, scrambled them and cooked in a saucepan, I don't really believe in microwaving eggs I think it ruins them. et voila! 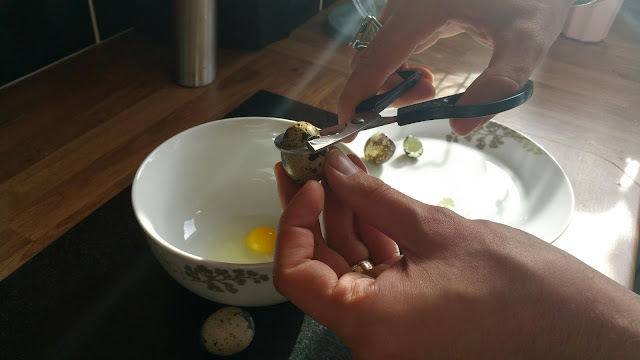 my very first meal with the eggs from our quails. 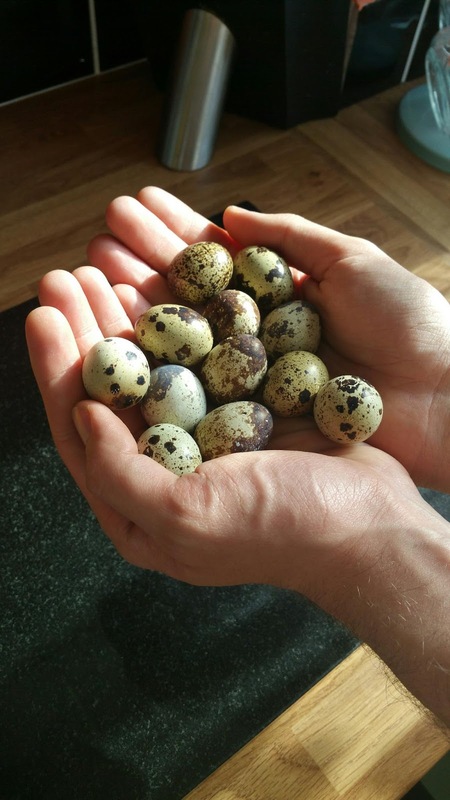 They taste amazing, I can't quite put my finger on it, they are very rich and delicious, much better than an ordinary chicken egg that's for sure. 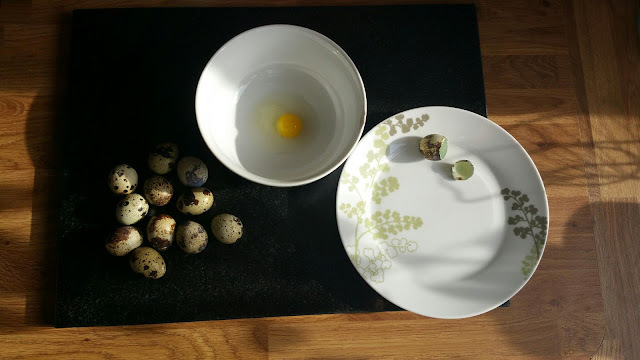 So now I'm on the hunt for quail egg recipes, would love to hear from you if you have anything to share on the topic, Happy Monday folks! 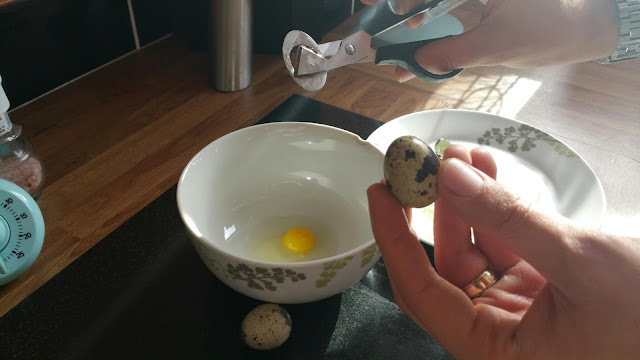 We eat ours (bought ones) hard boiled. Very dainty! Of course! 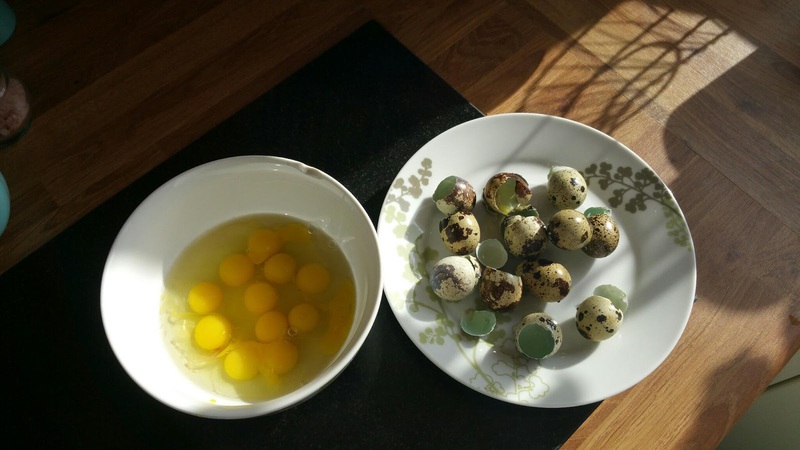 I put them in the composter, great source of bio-available calcium. been considering drying them our and adding them crushed to the surface of the soil, allegedly hinders the slugs and snails?